Hannah has been with SMCO since 2013. She started out as the Receptionist at the Lake Arrowhead office and is currently the HR Director. In addition to her human resource responsibilities, she manages the administrative department and oversees billings. Hannah cares about continually making SMCO a better place to work and assists with the planning of the firm Grub & Grows, biannual Manager Trainings, and company book clubs. 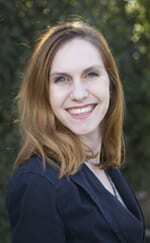 Hannah is CoChair of the Firm Management Forum for the CalCPA Inland Empire Chapter. In her free time Hannah and her husband love cooking together, rollerblading, going to the beach and watching movies. Hannah also loves painting and spending time with her cat Harley Quinn. Hannah volunteers at her church in the youth ministry on Wednesday nights and in the preschool class on Sunday mornings.